Matchstick Monkey, Can It Work For Aggressive Chewers ?? So for those of you that don't have them, I should explain what an Aggressive Mouther/Chewer is ? For many disabled children Mouthing/Chewing is just a form of stimming. 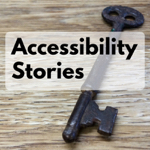 They need the sensory feedback that comes from chewing non-edible objects. It is not something they can control, for Grayson if he didn't have a toy or fabric to chew he will find something else, sometimes furniture, worst case he has bitten through his fingers. Every year Ashley and I spend approximately £250/300 on toys for Grayson to chew, it is not something we can stop so we just like to give him the safest options. Over the years Grayson flits between wanting to chew fabrics or toys so we always have many on hand. For years Sophie Le Giraffe was a favourite but he can chew through those within a week, it just isn't cost effective. There are many Special Needs chew toys on the market, some he likes, some don't last and some are just too hard. Like a baby wants, it needs to have a certain amount of flexibility for feedback but also not to break his teeth. We have spent the past few months with him using swim toys, they work well but I wont lie they are not discreet and that is quite important for a lot of Special Needs families when out and about. So when I heard of a new British teething toy called Matchstick Monkey I had to give it a try. 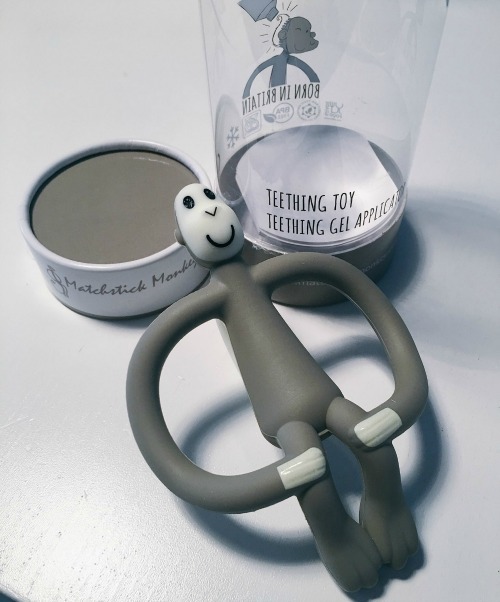 They kindly sent us a grey monkey out, although the product is designed with teething babies in mind they were very interested to hear how we would get on from different perspective. My daughter has always been a little bit obsessed with monkeys. She is always carrying one around, small, tall, thin, fat - if it is a monkey she would love it. Having small hands it was very important to make something easy to hold. This is when the Matchstick (skinny) part of Matchstick Monkey was born. The perfect teething toy / applicator for pain relief products Made from soft, safe silicone with handles that are thin enough for your little ones to hold and use from a young age Perfect for small hands looking for something to hold with ease. When I first opened the packaging I loved the size, not too small that he could choke but not too big it was in your face. It is a modern looking toy, up with the times, designed perfectly for being held and not too soft. I gave it to Grayson and initially he chucked it away. Then I left it by the TV (his favourite place to stand) and within 5 minutes it was in his mouth. I have shared a few times over on his Instagram Stories just how much he loves it. He not only stims with it orally (he loves the bobbly bit designed for teething gel application best), but he also loves it for hand stims, constantly revolving it between his hands and because it is made of lovely soft silicone it doesn't rub on his skin. Grayson has been mouthing the Matchstick Monkey now for over a month and not one bit of damage, honestly I am HUGELY shocked, I was worried it would not last with his grown up teeth but I was wrong. What I also love is that if he drops it just put in the dishwasher or give it a wash and good as new. 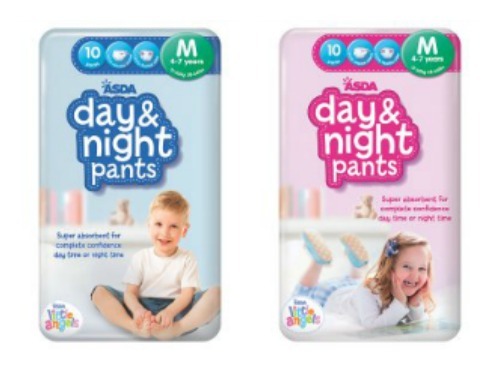 As a Mummy to a 8 year old I love the design for not only babies but also for grown Special Needs Children, it is very discreet and can come in muted tones or nice bright colours depending on your choice.We shall be buying the red as it will help with Grayson's vision problems. There is no escaping the news at the moment if you are a parent with teething toys such as Sophie Le Giraffe holding mould. If you are worried then Matchstick Monkey is the way to go, the toy is solid silicone with no holes for dribble to get in, thus no risk of mould near your children, as I said it is also super easy to keep clean. 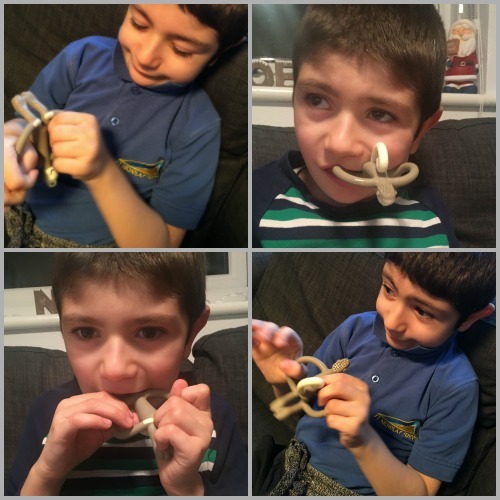 For £10 we love the Matchstick Monkey and I will be recommending them to Special Needs families as well as friends with young babies, it does everything and more in what you want from a teething toy. This sounds like exactly what sam needs! He's currently costing me a fortune in chewy stuff. We love chewy gems necklaces for out and about but he seems to hate having it round his neck in the house. I'm gonna order him one of these - thanks for sharing!